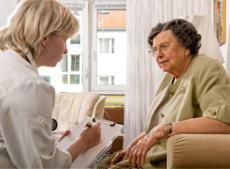 WHAT IS PROFESSIONAL GERIATRIC CARE MANAGEMENT? Housing – helping families evaluate and select appropriate level of housing or residential options. Home care services – determining types of services that are right for a client and assisting the family to engage and monitor those services. Medical management – attending doctor appointments, facilitating communication between doctor, client, and family, and if appropriate, monitoring client’s adherence to medical orders and instructions. Communication – keeping family members and professionals informed as to the well-being and changing needs of the client. Social activities – providing opportunity for client to engage in social, recreational, or cultural activities that enrich the quality of life. Legal – referring to or consulting with elder law attorney, providing expert opinion for courts in determining level of care. Financial – may include reviewing or overseeing bill paying or consulting with accountant or client’s Power of Attorney. Entitlements – providing information on Federal and state entitlements; connecting families to local programs. Safety and security – monitoring client at home; recommending technologies to add to security or safety; observing changes and potential risks of exploitation or abuse.